Color adds another element of difficulty for the street photographer. It needs to be part of the story without distracting from it. It’s really a balancing act. If the color overpowers the subject, B&W makes more sense. Since Fujifilm came up with Classic Chrome, it has become my color of choice. I find that it has the timelessness of monochrome in a color palette. Does it make sense? It’s simple and real,it fits the streets. If you’ve experienced it, I’m sure you get it. Many ask why I shoot JPEG? The answer is simple: Because it doesn’t get any better that! I’m not sure I would feel the same way with any other gear. But the JPEGS my little camera give me are better than RAWs processed in LR. Yes, shooting JPEG is less giving and more challenging. But this is street photography, isn’t one of the goals to get it right in camera and spend more time on the streets vs. in the digital darkroom? I don’t need to bring out details from the shadows, I love deep shadows! I don’t care if some of the highlights are blown out, it’s often the desired result for more dramatic effects when shooting silhouettes for example. And why this constant JEPG vs. RAW question? Isn’t it time to put it to rest? Does shooting RAW make you feel like a better photographer? Then shoot RAW! Another question I often answer is why I use the LCD vs. the viewfinder. Why does it matter? When do you see any of that information attached to a photograph in a book or a gallery? And if you did, would it change to way to look at the photograph? Would it make a difference in the merit of the artist? Does bringing the camera to your eye make you look like a real photographer and using the LCD like an amateur? I hear that often… Well I guess I’m an amateur then, and that’s okay with me! These snapshot are a random collection of everyday people seen in Chinatown, North Beach, the Mission District, Union Square, and the Financial District in San Francisco last week. Enjoy! Thank you for visiting and I look forward to reading your thoughts in the comment section. What wonderful shots! So inspiring for an amateur photographer like me! Thanks for sharing these wonderful images. Regarding RAW vs JPEG I don’t agree, although your images don’t lack technical perfection. Shooting JPEG (only) always seems to me like shooting Polaroid: I allow others to decide how my image looks in the end. Processing and printing always was and still is an integral part of my responsibility as a photographer. That doesn’t mean cheating to compensate for bad capturing, but controlling the final output during the entire process. Great composition and characters. I love the stories the characters tell by their faces and stances. 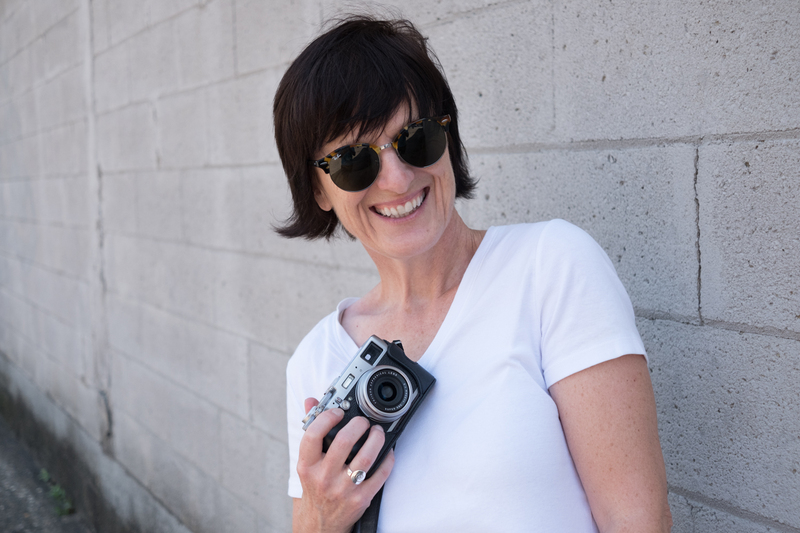 Nice work Valérie…I to love to experiment with the Fujifilm film types and Classic Chrome is one of my favourites! Admire your photography, and couldn’t agree more about monochrome v colour, viewfinder v LCD screen, RAW v JPG etc, Surely if photography is to be considered art we do ourselves a disservice by arguing about these things when we should be ONLY concerned with the final image and whether it tells the story we wanted it to tell. How we got there is up to us as an artist. I love walking around Sydney, Newcastle etc in Australia with my X100T, shooting with viewfinder or LCD, colour or mono as the occasion demands. Would love to do one of your walks, but it is out of my reach unfortunately. Wonderful shots, especially the ones in which you engaged with the subjects. I enjoyed photowalking with you on the Cal campus in Berkeley recently. I learned a few things, and got a few good pictures, even though as a complete newbie with the borrowed X-Pro 2 I inadvertently shot mostly on ISO 3200. I am going to pick up an X100T at Looking Glass for the simplicity and unobtrusiveness of this small but capable fixed-lens camera. Superb as usual. Your vision is just incomparable and so inspiring. Thanks for sharing. I have a Fuji X100T also and agree that the JPEGS are unbeatable. I sometimes switch over to RAW in an extreme lighting situation, but for the most part I save a whole lot of memory and time by going JPEG. I like these shots, especially the lady with the red boots. That photo wouldn’t be as good in BnW. Very nice images Valerie! For many types of scenes where color plays an important role Classic Chrome is almost always my choice mainly for street photography and even for landscape, though lately I’m playing a bit more with Velvia for nature details. Thank you Valerie! I enjoy your blog and find your images, whether B&W or color to be inspirational as well as educational. I also like your no-nonsense approach to the minutia of all these pesky nuances of shooting…whatever works, right?! I hope to join you for one of your workshops in the upcoming year! Really enjoy your Blog! This one really hit the mark for me. Since taking a SF class with you in Feb., I have been mainly shooting in B/W, but I enjoy using CC at times when the colors just speak. And, Thank You so much for the JPEG & LCD mentions! I watched & learned from you that week-end how to set up & shoot, & not be noticed; & I have found it just so much fun. It is funny to see the reaction of other photogs though. One of the photo groups I am in has several Fuji users, but only 2 are JPEG shooters (leader & me!). Guess the debates will always be there (RAW vs JPEG, LCD vs Viewfinder, PS vs ?, etc), especially online! BTW, the leaders of the photo group will be in your upcoming Minn. workshop. I introduced them to your blog & they are excited to come spend time with you & learn. Thanks for these very nice color pictures. Everything is more alive. As for using RAW or JPEG. When I go out with Street photography in mind, I use RAW +JPEG and program the camera on B&W. Having the RAW allows me then still to consider the color option. If I am satisfied with the B&W, I only use the JPEG I have. Always love seeing your colour work Valerie!! Thank you Valérie for giving me permission to use the LCD. Since taking your workshop in SF I have been using the LCD more. As soon as you bring the camera to your eye, you give away your identity, so I do like shooting from the hip. Your color photos are great! I have been shooting more color and it is a bit more difficult than B & W but I like having the choice of both. The photos you have here are a perfect example of how color works because they add to the story and aren’t a distraction. As for RAW vs. JPEG, I still like shooting RAW + JPEG with Classic Chrome and/or ACROS depending on which camera I’m using and the JPEG’s are great straight out of the Fuji cameras. I still like the flexibility that the RAW files give me but I do believe that everyone needs to use the tools that work best for them to get the job done. Keep up the great work Valérie! Thanks Neil! It was fun to hang out in SF, keep up the great work! I love your Classic Chrome photos, Valerie. I would like to know if you adjust any of the H-Tone, S-Tone, or other settings for these, or are they the default Classic Chrome (all adjustments at zero). Thank you. Thanks Barron! I’ve been experimenting with that and this series was shot with S-Tone +1 and H-Tone +1. I added a tiny bit of contrast and clarity in LR. Et voila! Great photos, great tones… and great post! I can’t agree more with you about those endless debates. Internet debates, usually, from people that prefer aguing over actually shooting 🙂 It’s just a matter of using the right tool at the right moment, with the scope of getting it right in the camera and spent the less time possible in front of the computer. I still shoot RAW with the Fuji X100T… for the flexibility of selecting the right film simulation in post, the simulation bracketing is too slow IMHO. And that’s pretty much it. Bien dit, mon cher Pierre! I don’t use the film simulation braketing too often but I never thought it was slowing things down too much. That said, I rarely take more that one shutter click of each scene so it may be the reason that it hasn’t bothered me too much. I prefer black and white, but there are some scenes that demand color; nice to have both! As far as JPGs and viewfinders go, seems to me the right answer is whichever the photographer prefers. Now, if a photographer were listening to Justin Bieber on their iPod while doing street photography, I could never take them seriously! Outstanding blog…answered my questions exactly… outstanding photos! Thank you Valerie. Beautiful images Valerie and CC is indeed a great film simulation 😀 Ever since I switched to Fuji from Nikon four years ago all I have shot are JPEG’s. It works for me. Photographier en Jpeg, c’est un peu comme photographier avec de la diapo. Je suis heureux de lire ce genre de propos qui devraient décomplexer les photographes dont les rattrapages du RAW via des logiciels rebutent. En tout cas, en voyant ces images toutes aussi superbes les unes que les autres, on a la preuve qu’il est possible de réaliser de belles choses de manière brute sans devoir passer par un laborieux process de traitement d’image. Je retrouve dans le rendu obtenu par l’appareil et par la photographe la sensation d’une pellicule couleur telle la Portra et cela me plaît. Quant au travail en lui même, J’applaudie la qualité des cadrages. La lisibilité des images est excellente. Tout est limpide. C’est un vrai plaisir de voir et revoir cette série. 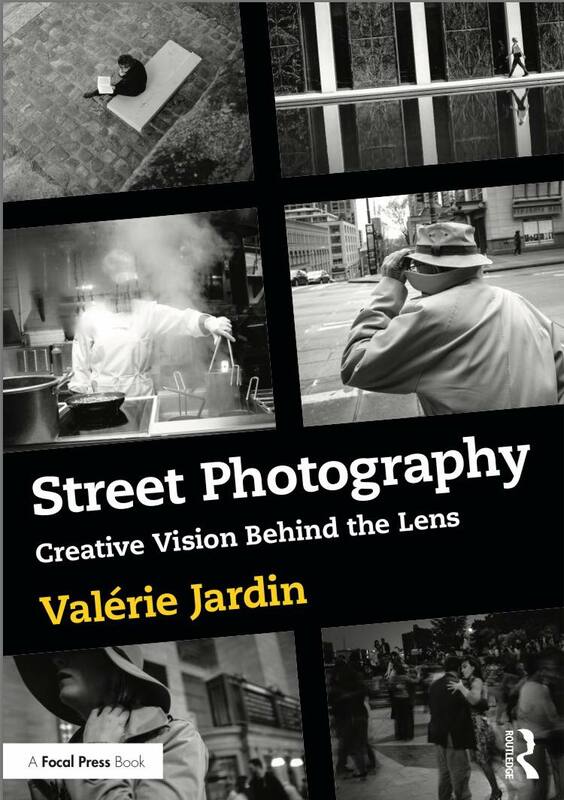 Great images, Valerie! Love your use of color; I’m doing the same thing (only in RAW! LOL). It was fun hanging out with you downtown and in the Mission. Come back soon! Hey Jim! I had a blast with you, Casper and Pete. I’ll definitely come back to SF next year! Best of luck with the exhibit next month, I want to see pics and videos!